The brand Moooi has gotten us used to surprising things, and it won’t stop surprising us with original ideas. From “island” couches like the Zliq Island Sofa, to square armchairs like the Jackson chair, each creation from Moooi seems to come from a sophisticated universe rich with creativity. But what happens when a brand of this type wants to show in just one product the beauty of the world and praise the glory of nature? 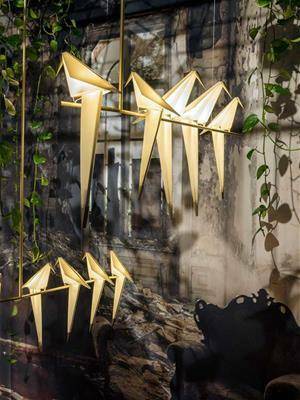 The result is the Perch Light Branch, a piece of design with a highly original and innovative aspect. With the creation of a lamp, the designer Umut Yamac has managed to create the atmosphere of peace and pleasant joy that produces the contemplation of nature. What is there more poetic and pleasant than a bird sitting on a branch while singing a melody that seems to celebrate life? 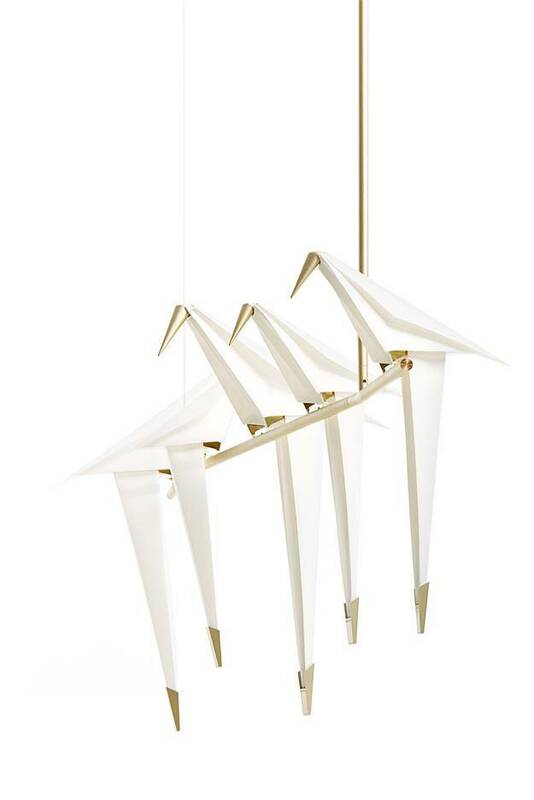 This image, strongly imprinted in our imagination, has been taken by the artist who, through origami, styled it and created a lamp with a unique and harmonious look. Fascinated by the combination of balance and movement, Umut Yamac has created a family of six birds that captures the eye because of their graceful movements. 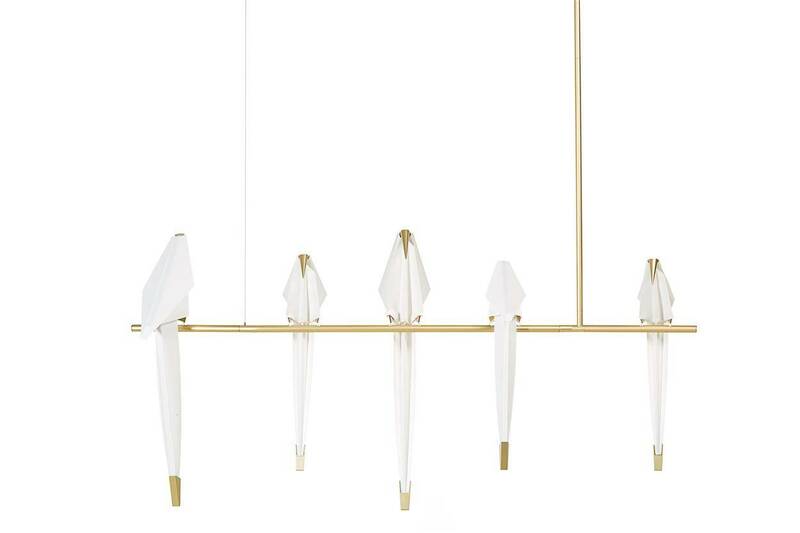 The structure, composed by a “branch” in brass on which the multidimensional birds are elegantly placed. The birds are created with folded paper and with the beak in brass. Through breezes of air or hand movements, the birds wave gracefully and softly, bringing a harmonious and natural movement to the interior of the room. 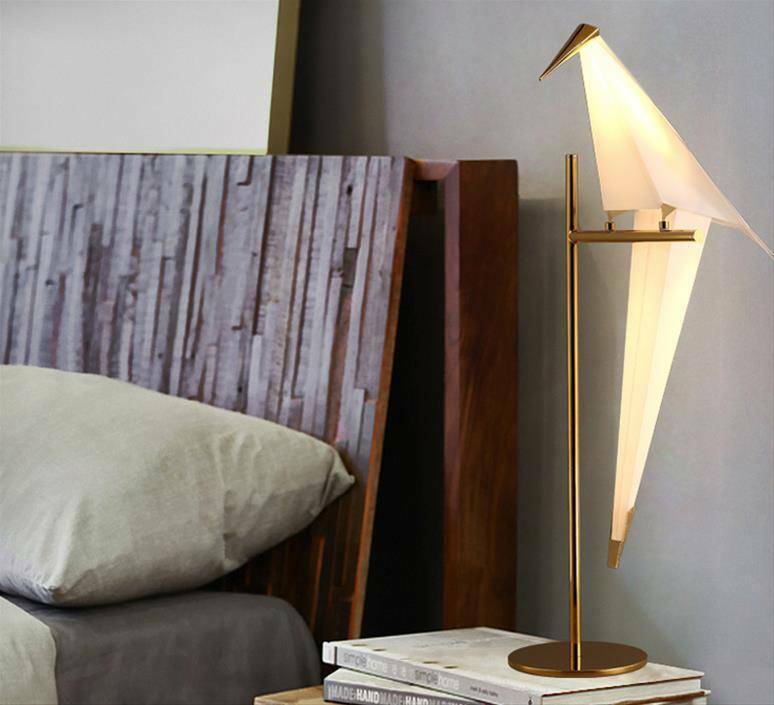 As the designer mentions: “The Joy is in the Detail”, which is why he takes care of every minimal detail of the lamp, creating a product extremely refined, created to furnish our homes in an original way. And it’s exactly this the sensation we have by looking at this product: Irony and fun. Their ambiances are all lively and particular: from the shapes of the objects to the colorful fabrics they use. Everything characterized by the search for beauty. This constant search of originality doesn’t only offer products strongly personalized, but goes beyond the line: it products Moooi elements with elegant details at the request of the client. It is the case of the carpet presented during the Design Week 2016 exposed with the design of Klaus Haapaniemi. On request, the brand can elaborate personalized carpets with one’s choice of design or pattern, this with the objective of satisfying though every possible way, the design lovers’ needs and aspirations of owning a truly unique product.